From ancient times the Japanese had a tradition for creating gardens that capture the natural landscape. They combine the basic elements of plants, water and rocks with simple, clean lines to create a spiritual haven. When making a Japanese style garden the aim should therefore be to create a mood of mystery, calm and tranquillity, and capture something of the essence of nature where you can restore your inner harmony. Bamboo, grasses and topiary plants in soothing shades of green are planted for year-round interest and trees are pruned into shapes that reveal their architectural form. A typical feature is to have arching branches reaching over cushions of moss and groundcover, which is reflected in a pool of still water. Rhododendron, Azaleas, camellias and maples are used with restraint with the sole purpose of marking the changing seasons. 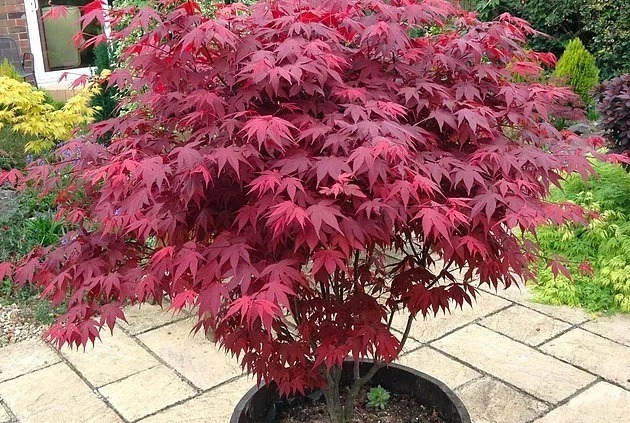 Where space is limited use a single cherry tree to announce spring, a blaze of potted azaleas for early summer and the fiery foliage of a maple to mark the onset of autumn.